^ 奥巴马总统连任在即 克鲁尼办募捐晚宴声援. 新浪娱乐. 2012年4月11日. 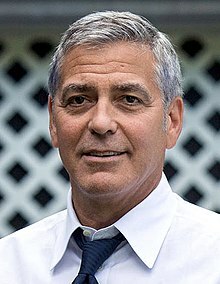 ^ George Clooney arrested in Sudan protest. CNN. March 21, 2012. ^ "George Clooney and Amal Alamuddin marry in Venice". CNN. 27 September, 2014.